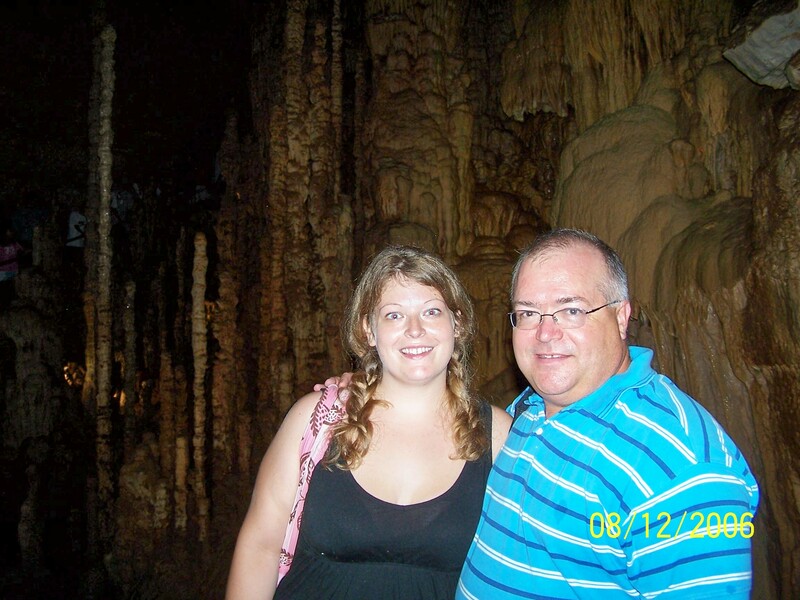 My Dad and me in a cave in 2006. We are both MUCH thinner and MUCH healthier. Wow, I don’t even recognize that girl. Snack options: hard boiled egg, jerky, nuts, larabar or whatever paleo snacks I can come up…but to keep it easy this week, I’ll stick with these. Snack when I am hungry, portion size should be smaller than the palm of my hand. Post workout: Protein shake with almond milk (or water), fruit and ice! On really big lift days I can use milk in my protein shake if I so desire. Fruits: 1-2 servings per day, limited to before 2 pm. Berries are especially fibrous! Vegetables: Unlimited, all are acceptable. Dark, leafy greens should be a substantial portion of this category. High Starch Vegetables (that could be considered grains): Sweet potatoes; once a day would be fine! Corn, white potatoes can be consumed occasionally, but should never be a main component of a meal. Fats: Olive oil, coconut oil, butter are all fine. Avocado is also fine. Eat a 1 T portion with every meal. Nuts: All are fine (no peanuts) 1-2 servings per day, keep portion size small as in 12 almonds or 1 T of almond butter. Small packs a big punch both in terms of being satisfying and carrying a dense calorie load. Water: 96 oz a day! Green tea can count toward my water goal, adding lemon to my water is an excellent flushing tactic too! Alcohol: No beer, no liquor, wine is ok, but limited to 2 glasses once or twice a week. I realize that it’s essentially paleo, I really look forward to creating lots of new recipes and sharing them here. I love cooking, and I love the challenge of creating tasty food that promotes health and weight loss! I know for some people this would feel really restrictive. I would say the only tenant of paleo I am not 100% on board with is the idea that all beans are bad (except you soy! You are evil!!!) however, for the purpose of the next 60 days I will not eat them specifically because they do cause inflammation. Will I go the rest of my days without hummus, no, no sir I won’t. I am looking forward to my foray into simple eating and losing more fat!! I can’t wait to see more of my muscle emerging from underneath the layer of cush…I am after all a cave lady! !